Joint agreement could allow plans for Huntington Beach desalination plant to move forward. HUNTINGTON BEACH — Poseidon Water came to terms with two state agencies and a regional water board to streamline the permitting process for a planned desalination plant in Huntington Beach, it was announced Oct. 13. The joint agreement included Poseidon Water, California Coastal Commission, California State Lands Commission and the Santa Ana Regional Water Quality Control Board. Changes to and clarification of the permitting process should help Poseidon proceed with its Coastal Development Permit, or CDP. Poseidon was originally scheduled to have its CDP considered by the Coastal Commission on Sept. 9. The permit application was withdrawn from the Sept. 9 meeting agenda to allow Poseidon to clarify and define the remainder of the permitting process. Poseidon Vice President Scott Maloni said a desalination plant in Huntington Beach is necessary to address Orange County’s drought conditions. A prolonged permitting process means the region must continue relying upon imported water. One group opposed to a desalination plant in Huntington Beach is Orange County Coastkeeper. The environmental organization claims desalination plants, as a whole, are a last resort option and should only be built if designed to have minimal effect on water quality, local marine life and climate change. Building a desalination plant in Huntington Beach, O.C. Coastkeeper maintains, is not justified based on cost forecasts and use of obsolete technology. However Poseidon’s representatives stated an estimated 50 million gallons of drinking water would be produced daily if its plans were realized in Huntington Beach. “The Huntington Beach Project will produce … 50 million gallons per day… of locally controlled, drought-proof drinking water that will reduce Orange County’s need to import water from Northern California and the Colorado River,” Poseidon staff said in a released statement. Poseidon, according to its recent joint agreement with the Coastal Commission and other agencies, now proposes enhancements to the seawater intake and discharge technologies for its planned Huntington Beach plant. Coastal Commission and State Lands Commission staff would work together on permit sequencing efforts. The agreement also explains the order of when each agency would review plans and permits. The entire permitting process could be complete in 2017. If realized the Poseidon plant in Huntington Beach would feature a seawater intake screen with a 1-millimeter slot (about the same thickness as a credit card). Water would flow through the intake system at a rate of half-a-foot per second. The intake screen slot would be installed in an open-ocean setting, according to Poseidon staff. Poseidon also claims the Huntington Beach plant would be fully carbon neutral. The city of Huntington Beach first certified Poseidon’s Environmental Impact Report in 2006 and 2010. 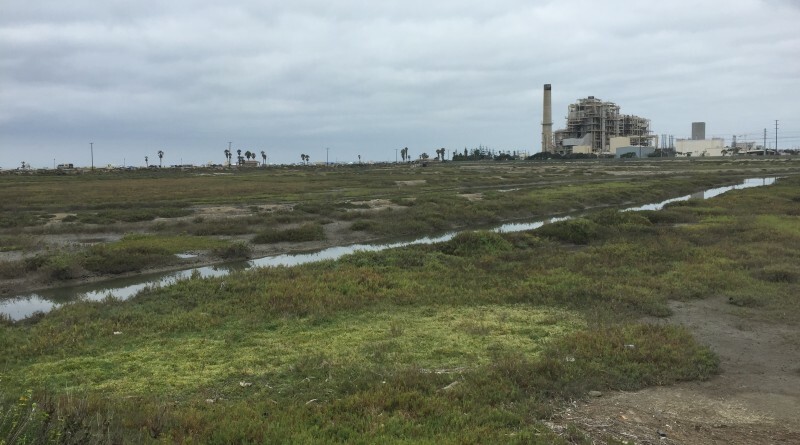 The proposed Huntington Beach plant also received a National Pollutant Discharge Elimination System (NPDES) in 2012. The State Lands Commission approved a lease agreement for Poseidon’s seawater intake and discharge facilities in 2010. The Coastal Commission’s November agenda is now available but does not include an entry for Poseidon’s desalination plant plans. If you guys REALLY believe this……….there’s a bridge for sale I’d like to sell you. Poseidon has fought every rule and regulation to the hilt for over 10 years. They wanted to be able to not only use a 50 year old AES plant and it’s intake and outfall, but use outdated desalination technology. We, at Residents for Responsible Desalination, said NO DEAL. The California coastline deserves ONLY THE BEST technology available. The State regulators are finally agreeing with us. NOT Poseidon. They’be been drug to the table kicking and screaming. But………..nice spin.